I recently did a thing. I took a leap of faith and left a comfortable corporate career to start my own business. After 10 years of working in HR at tech companies in Los Angeles, I decided to venture out and work directly with smaller, emerging companies to help them figure out their people strategies. I’m a few months in and have a growing list of clients and pretty steady income. 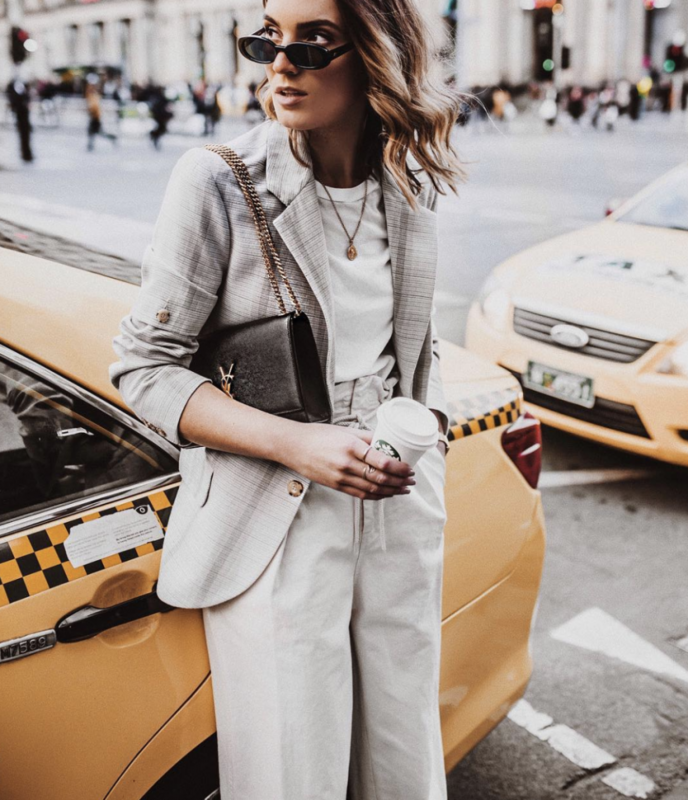 Does it sound like I’m living that ‘Girl Boss’ dream? I am! Sort of. The entrepreneur life offers so many benefits like defining my own schedule and working on projects I am passionate about. At the same, time it also comes with a lot of uncertainty, especially around finances. Taking this story all the way back to when I received my first official ‘big girl’ job, I had my dad take a look at my offer letter. I was thrilled the company wanted to pay me anything. It was 2009 and not many people my age had jobs. My dad pointed out, as dads do, that they also offered a great benefits package and a matching 401(k). I knew benefits were important because I had been charged over $200 after a trip urgent care for strep throat without coverage but I had no idea what a 401(k) was. My dad tried to talk me through compounding interest and tax shelters but he may as well have been speaking Japanese. I didn’t care, I was employed! In an effort to end the lecture and to continue my employment celebration at happy hour, I agreed to sign up for whatever a 401(k) was to make my dad happy. I should reiterate how poor I was during this phase of my life. I had graduated 6 months earlier after the market had crashed. All of the money I had saved from my job in college was depleted and oatmeal from my company’s kitchen was my breakfast, lunch and sometimes dinner. Now, because I promised my dad, I was supposed to just give away a very much needed portion of my paycheck every month? I hated it and after seeing my first post-tax paycheck, I dropped my contribution down to the minimum amount. Then a funny thing happened, I started receiving emails from my 401(k) provider that shared my savings balance. The balance was higher than the minuscule amount I had been putting away thanks to my company’s match and the recovering economy. It finally clicked, a 401(k) was basically like getting free money. You put in a little, you get much more back. I was hooked and started increasing my contributions little by little over the years until I was able to get to the max amount. My work in HR allowed me the opportunity to manage my company’s 401(k) program, and I became a walking billboard on the importance of a 401(k), especially starting early in your career. Dad was so proud. I now very much care about compounding interests and tax shelters. That said, being my own boss is amazing, but it also means I no longer have access to a company 401(k) or savings plan (aka no more free money) and I’m not the only one in this position. Self-employment is on the rise and it is estimated that by 2020 almost 42 million Americans will be working independently. I figured there have to be savings options for people like me, who work in nontraditional jobs. Turns out, there are many! Here are a few plans that I learned about. If you are a newly minted entrepreneur or your company doesn’t offer a 401(k), check them out. 1. Traditional or Roth IRA (or both)? A Traditional or Roth IRA are both great options for those just starting to invest in their savings or for someone saving less than $6,000 a year. If you are leaving your job that offered a 401(k), you can roll over your savings into this account. If you are 50 years or older, IRA’s offer a “catch up” that allows you to contribute $7,000 a year. There are tax deductions available for a traditional IRA but no immediate tax deductions on Roth IRA’s. After retirement, withdrawals are tax-free. The Roth IRA does have an income limit, of $137,000 for 2019. Create an IRA Transfer With Ellevest today. Also called the one-participant 401(k) or Individual 401(k), a solo 401(k) is the same as a traditional 401(k) offered by an employer to its employees. Translation: You can contribute to your plan as both the employer and employee. Your contributions are pre-tax, so you’ll end up paying taxes when you withdraw your money later. As an employee, you can contribute a maximum of $19,000 annually ($25,000 if you’re 50 or older). As an employer, you can throw in 25% of your business’ earnings, though you’ll have to do some math to figure out your deduction limit. In a planning mood? See how a retirement plan could help you manage your future. Ellevest is one way to do it. You can get a personalized portfolio in under 10 min. And it’s made by women, for women. If you operate as a team of one or boss of me, there’s a super special type of retirement account you should know about. It’s called a SEP IRA. Short for Simplified Employee Pension IRA, a SEP IRA works in a similar way to a traditional IRA. It’s a tax-deferred account, so any investment earnings grow tax-free until you withdraw your money, and your contributions are tax deductible. With a SEP IRA, you can contribute 25% of your earnings, up to a maximum of $56,000 annually for the 2019 tax year. Compare that to the annual $6,000 contribution limit on traditional IRAs, and it’s crystal-clear why SEP IRAs are kind of a big deal. Even 401(k)s can’t touch SEP IRAs here — they have a $19,000 contribution limit (not including employer contributions). And let’s say freelancing is treating you well (extremely well, really) and you want to max out your SEP IRA this year. Here’s what the math looks like: Divide $56,000 by 12, and you get $4,667. Bonus: You can contribute to a SEP IRA while still contributing the annual maximum to a or an employer-sponsored plan through a second job. If you want to open a traditional or Roth IRA in addition to your SEP IRA, you can do that too. Leaving the stability of the corporate world can be scary but savings doesn’t have to be. There are plenty of options available to help you save for your future, regardless of your employment situation. Ready to attack this retirement thing and check it off the”to-do” list? Get started today. 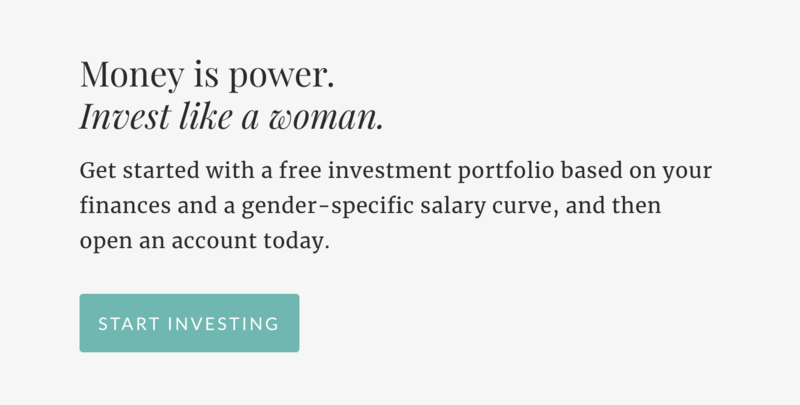 Ellevest creates personalized investment portfolios in under 10 minutes based on your finances and a gender-specific salary curve. Create an SEP IRA With Ellevest today. It can be financially hard — ok, completely terrifying — to quit your job and reliable paycheck to start your own thing. This is where your emergency fund comes in handy because it can make the occasional lag time between projects less nerve-racking. And I can’t stress this enough: By factoring retirement savings into your rate, you’ll make it easier to save because you’ve already earmarked some money for your retirement account(s). Nervous about keeping yourself on track with your retirement savings or think it sounds too involved, set up automatic deposits for your retirement account(s). 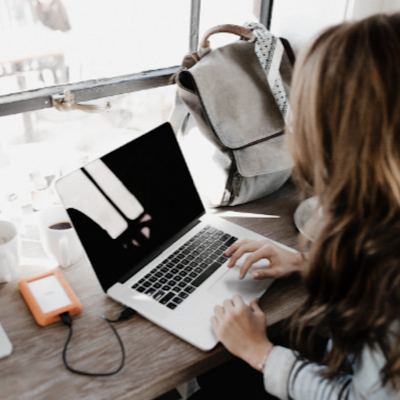 At Ellevest, you can set up bi-monthly, monthly, and quarterly deposits to your IRA, making it easy to build up your retirement savings without even thinking about it. But what if your income is really variable? Doesn’t that make planning for the future difficult? Maybe, yes. But, when it comes to retirement, every little bit counts…especially the sooner you start. You can thank compounding — which gives you the opportunity to earn returns on your contributions, and even more returns on those returns — for that. So rather than focusing on a specific dollar amount, perhaps shoot for a fixed percentage of each paycheck. It’s less stressful than trying to stretch a smaller paycheck. Plus, you’re still getting into the habit of saving regularly for retirement. Generally, it’s recommended putting 20% of your income toward investing for long-term goals, including retirement; but if 10%, or even 5%, is what’s realistic right now, stick with that and work your way up as your rate rises. Whichever account type (or types) you decide to go with, one thing is for sure: When it comes to investing for retirement, the most important thing is that you do it — often and regularly. Because let’s be honest here: You like working for yourself. I know I like working for myself. That’s why I took the plunge by launching my own thing. But I know I shouldn’t forget that I’m working for Retired Me too. If you don’t do the same, you may have to work longer than you want, instead of spending your retirement years poolside with whatever cocktail (or mocktail, if that’s what you prefer).